What a great looking wheelchair. Such an improvement on the antiquated ones you see people struggling with. Is it in production yet? If not, try Dragons Den to get exposure, if not funds. - Also will it be seen at the London marathon wheelchair event? 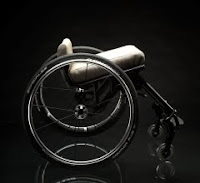 Endorsement by Tanni Grey Thompson?